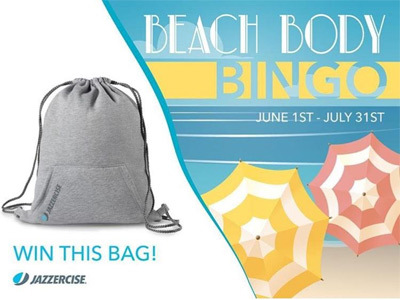 Current members can join us for our Beach Body Bingo game. Complete squares to earn stickers. If you complete them all by July 31, win a cute backpack! Ask in class for details and pick up a card.